A firm believer in the value of merging the disciplines of architecture and engineering into a single practice, Said Bitar founded Said Bitar Architecture, Engineering, & Urban Planning (SBIU) in 1967, which since 2009, has been known as 4b Architects. 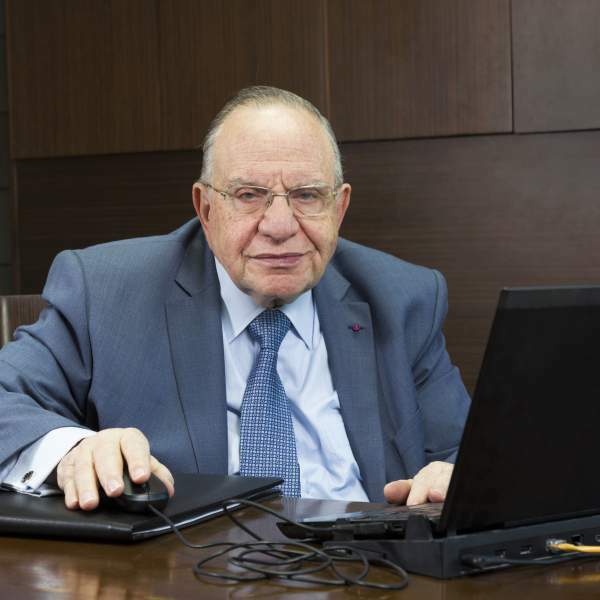 In 1991, he established Bureaux d’Etudes Associés specializing in the design and realization of public sector projects. A highly prolific architect, his professional career spanning over five decades include such seminal projects as Rizk Tower in 1971, Beirut’s Sport City, and Rehabilitation of Foch-Allenby Area in Beirut’s Central District. More recently he was recognized for the Rehabilitation of Harissa Basilica Notre-Dame du Liban and the new Campanile of Saint Georges Cathedral in Downtown Beirut. Said Bitar graduated from Saint Luc Institute in Brussels with a degree in Architecture and Urban Design, awarded with the highest distinction. He also holds a degree in Business Administration from Saint Joseph University, Beirut, graduating in 1971. Highly active within his profession, he served as General Secretary of the Committee for Lebanese Construction Standards for over 10 years. He is the appointed Councilor of the Maronite Diocese of Beirut for Heritage and Renovation. In 2005, he was awarded the Officer of the Order of Leopold medal for his services to the Belgian Ministry of Economy as advisor in foreign trade affairs. An avid academician and lecturer, Said Bitar has taught architecture, urban planning and construction technologies at Saint Joseph University’s Faculty of Engineering (ESIB) since 1976. In 2016, he received the University of Saint Joseph Centennial Commemorative Medal in recognition to forty years of professorship.